Browse through the 10-part San Diego vacation planner: It will bring you more tips than can fit onto this one page. 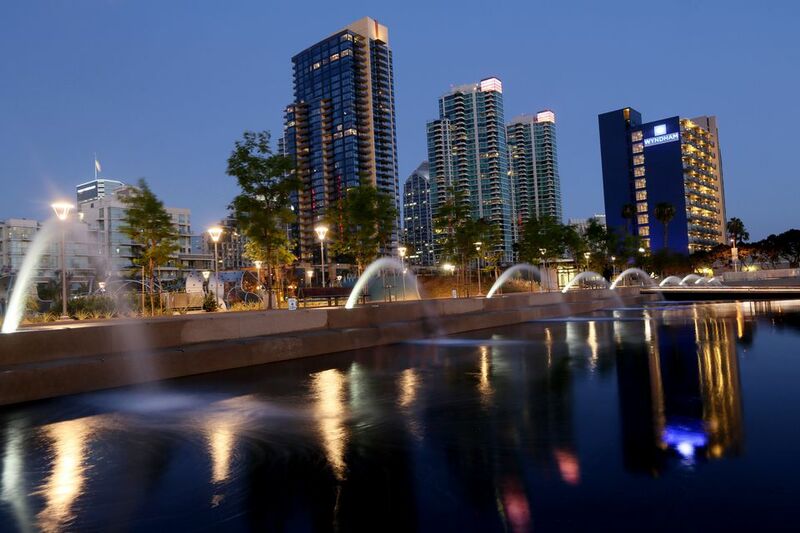 Discover some surprising ways to save money in San Diego. This guide includes how to save on transportation, attractions, tours, and hotels. Know the Weather: San Diego's climate is quite moderate, but it can rain at times, and Santa Ana winds can turn winter into summer. To be better prepared, check the guide to San Diego weather and what to expect. Pick the Right Hotel for Your Trip: The best area for tourists to stay in San Diego depends on what they're going to do. Most people stay downtown or in the "Hotel Circle" area, but if you pick the wrong area, you'll end up stuck in traffic unnecessarily. To find out about each area and their pros and cons, use the use the San Diego hotel guide. Take the Trolley: At rush hour, Interstate Highway 5 can feel more like a parking lot than a freeway. You may not want to drive to the border near Tijuana either, risking a break-in or getting on the wrong road and stuck at the border crossing. Learn how to take the trolley during your San Diego vacation, and you can relax and let someone else do the driving. The step-by-step guide to using the trolley will show you how. Make Reservations: The San Diego Zoo and the San Diego Zoo Safari Park offer tours that require reservations, such as their photo safari. You won't need reservations to visit Sea World, but you will if you want to take a behind the scenes tour or dine with Shamu. Life's Too Short to Eat Bad Food: Don't be a typical San Diego tourist suffering through bad service, high prices, and mediocre food in Old Town or the Gaslamp Quarter. Instead, head to one of San Diego's hip neighborhoods like Hillcrest, North Park or Kensington, where you'll find lots of good restaurants, at much more reasonable prices. Be Ready for Tijuana: A trip to Tijuana is a fun San Diego day trip. Use the Tijuana visitor guide to find out how to enjoy it safely and learn how to bargain with a Tijuana shopkeeper. San Diego is edged with seventy miles of beaches. Use this guide to find the one that's perfect for you. The Hotel del Coronado on Coronado Island is the largest wooden structure in the United States. And it's a pretty place to visit, too. The San Diego Zoo is home to a pair of giant pandas. When Hua Mei was born here, she was the first baby panda born in the Western Hemisphere since 1990 (she is now in China). Here's everything you need to know about visiting the zoo. San Diego is not only California's oldest city, but it was also the first European settlement on the West Coast. You can visit Mission San Diego de Alcala to see where it all began. The legal drinking age in San Diego is 21. Across the border in Tijuana, it's 18.